Kathleen and David Paxton are the driving force behind the Allen County Veterans Memorial Foundation. 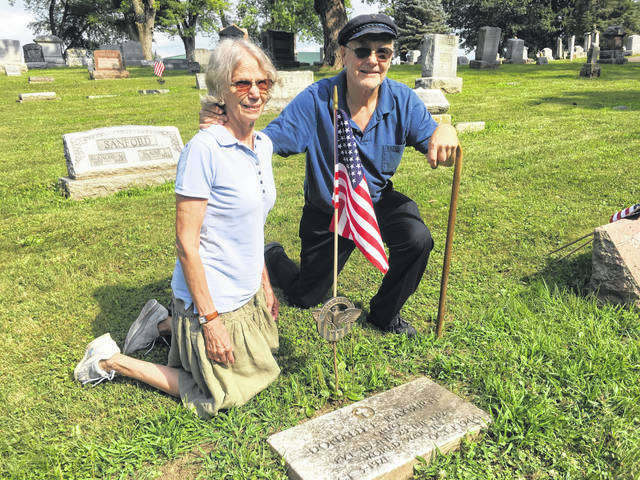 They are pictured at the grave of PFC Donald Rayburn of Lima, who was the subject of a poem by his wife, Naomi, after he was killed during WWII in Germany in 1944. A rendering of a possibility for the Allen County War Memorial. LIMA — Every name has a story. For Pfc. Donald E. Rayburn, that story is told in a poem. The Lima soldier was killed during World War II in Germany on Oct. 1, 1944. Private Rayburn’s body was subsequently moved back to Lima and re-interred at Shawnee Cemetery on Dec. 10, 1947. The impact on his wife, Naomi Rayburn, was such that she wrote a poem to express her feelings of despair. The poem was uncovered through research done by the Allen County Veterans Memorial Foundation. It was originally published in The Lima News in September 1945. The call was sudden, the shock severe. With little thought such grief was near. the pain and parting without farewell. that we suffer all the while. Oh, if you could come back home. David and Kathleen Paxton had hoped to contact Naomi Rayburn to learn more about her story, but unfortunately, she too had died. The Paxtons have made it their mission to help erect a memorial to all the Allen County veterans who died while serving their country. The theme for the Allen County War Memorial will be Faces of War. This will include a section on families and how war impacted them with the loss of their loved one. The Memorial Foundation is looking for volunteers to help find these stories. “The objective has always been to build a war memorial for the veterans of Allen County, specifically honoring those who have lost their lives, made the ultimate sacrifice, in service to their country,” said David Paxton. 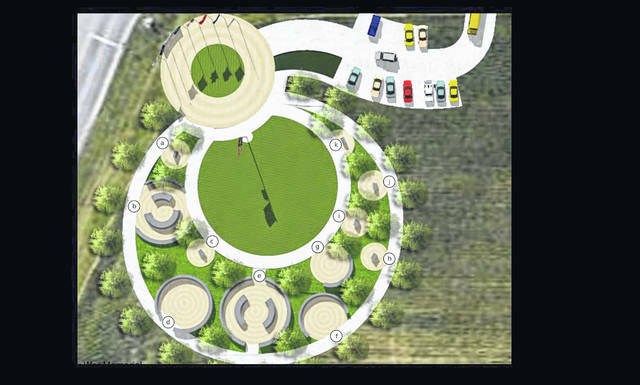 The vision is to have a memorial in which there would be a ceremonial or gathering area for organizations to use for various veteran related observances. This gathering space would lead visitors into an area where the actual memorials and remembrance plaques for each honoree would be located. Gathering those stories has proven to be quite the task. Kathleen Paxton has been the one coordinating the research into each of the veterans on the foundation’s 714-member list that is on the website allencountyveterans.org. There are many veterans with their stories documented. The searchable database covers from the Mexican-American War through the Afghanistan conflict of today. The Paxtons agree the research for veteran information is the most time-consuming part of their project. A two-acre site at the northeast corner of state Route 117 and Bowman Road has been set as the location of the new memorial.